Should I Use an Actor, Employee or Business Owner as my Marketing Video Spokesperson? Using a video spokesperson in your marketing and public relations videos can be a great idea or it can be a disastrous idea. Whether to use a professional actor or an employee or owner of the company is an important decision. This decision can have long term ramifications and can really impact the bottom line. I’ll discuss some of the things you’ll want to consider as you make your decision. First remember that whoever you put forward as your video spokesperson will represent your company. Remember that your spokesperson will play a large roll in branding. With the impact of social media, you’ll want to keep in mind that the person representing your company in your videos and throughout media has their own opinions and ideas. What’s more important is that they may express those ideas and opinions in the cyber world. 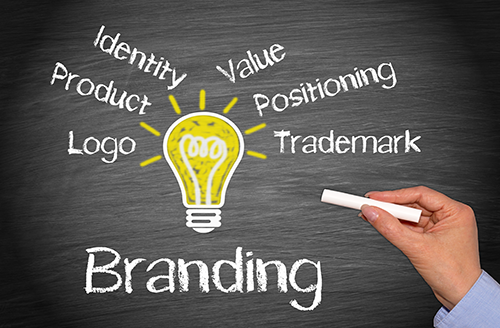 This can impact the perception of your brand. I won’t mention any names or companies, but I’m sure you’ve seen the headlines. There have been company CEO’s and even celebrity spokespeople who have been slammed on the internet and consequently in the media. There’s also a trend to ban any company that has a spokesperson with ideas that may seem contrary to some groups. If you do decide to use a spokesperson, make sure they are in line publicly with the image you want for your company. If you’re using a video spokesperson from your company, remember that they could leave any time. Even if it’s a CEO or president, they can leave the company. Once they do, all of your prior work with that spokesperson becomes unusable. That can cost you a lot of money, and it can impact your company’s bottom line in a variety of ways. If you’re choosing to use a spokesperson from within your company, if at all possible, make sure they’re staying for a long, long time. Using a professional actor as a spokesperson can be a good alternative that can get you a longer shelf-life for your videos. 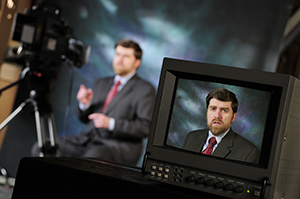 If you’re using a video spokesperson, should you use someone in the company or a professional actor? First, let’s talk about delivery. Most often we find that a professional actor can give a much more polished, natural performance on camera. This is especially true if they’re working off of a teleprompter or memorizing a script. It’s rare to find a non-actor who can come off really well on video. Remember that in marketing it’s all about the presentation. If you can’t get a non-actor to come off as natural and sincere, it can work against you. On the other hand, there are times when someone from the company will be ideal. For example if it’s a small or family owned company with a good story, the owner could make a perfect spokesperson. There are some situations when no one else can tell their story as they could. Having them on camera could create trust and connection with viewers. 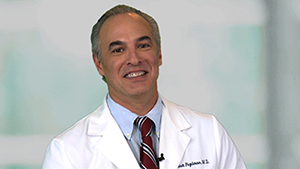 Doctors promoting their practices are another great example of those who should consider representing themselves on camera. By using them in their own video spots, it can create a feeling of trust and comfort in viewers. Another example of when it might be best to use an in-house person as a spokesperson is when the product or service is highly technical. By choosing an internal spokesperson with technical knowledge and/or someone with a good reputation in the field, the videos can create credibility and trust. Ask yourself – Can the non-actor spokesperson give a good enough performance? At the end of the day, whether using a non-actor spokesperson will work for you or against you depends on the performance. The results will be impacted by whether or not the non-professional actor can be made to look reasonably comfortable on camera. If you have a deer in the headlights feel to your video, or the spokesperson seems uncomfortable and unnatural, it could work against you. A good director can get the best possible performance out of a non-actor spokesperson. With the right coaching and the best shooting strategy, it can often work. 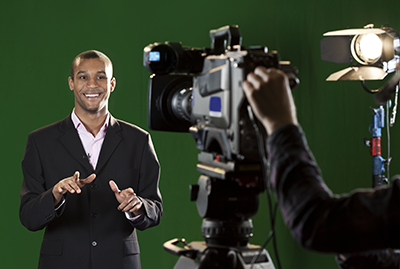 For example, one strategy to use in the video production is to interview the non-actor spokesperson instead of having them use teleprompter or script memorization. By getting them comfortable and then asking them questions designed to pull out the right sound bites, I’m often able to get a great delivery and a natural performance out of my non-actor clients. However sometimes it’s just not possible to get a natural enough performance to have a positive effect. In those cases it’s best to use an actor. To read more about picking the right spokesperson for your company and your videos, check out this article called How to Pick a Video Spokesperson. Give us a call, and let’s chat about your marketing videos. We’d love to give you ideas and a free quote, and talk about the ways we can help you promote your business.